The Federal Government utilizes two incentive programs to reshape or reduce the number of employees within its agencies. They are the Voluntary Separation Incentive Payments (VSIP), and the Voluntary Early Retirement Authority (VERA). I often get asked which one is the better deal for someone contemplating leaving the Government workforce. The answer is, like so many things, it depends on your personal situation. Let’s take at each one, and you can decide which one is better for your circumstance. The Voluntary Separation Incentive Payments, also called VSIP or Buy Out Authority, is an incentive program that pays a cash lump-sum for separation from federal service. The traditional incentive package has been $25,000 for federal employees, with $40,000 being offered to Department of Defense employees. The $25,000 has remained unchanged for decades, with inflation making it less appealing than it once was. There is legislation in Congress as of September, 2017 to increase the offer to $40,000 as the Trump administration looks to reduce the number of employees in many agencies across the Government. The legislation also has a clause to tie the $40,000 to the Consumer Price Index (CPI) and have it adjust for inflation every year. The bump in separation incentive could be quite lucrative. Inflation over the decades has worn away at the appeal of the $25,000. After you figure in taxes, the typical employee would probably have taken home less than $19,000, depending on the individual’s tax bracket. An amount that may not be enough for a new car. It certainly isn’t life changing money, as many feds could work several months and have the same amount that is offered. The proposed new amount of $40,000 would yield between $27,000 – $30,000 depending on the tax bracket. A significant bump that may entice those on the fence. Who does the VSIP appeal to? The VSIP appeals to most to those that have been or are contemplating leaving the federal workforce. It is an incentive to those that already have had thoughts about not finishing their careers with the Government. The appeal is mostly for employees at the onset or in the final stages of their careers. The rules state you have to be employed three years to be eligible for the Buy Out Authority. The rumor of a VSIP being offered sometimes has an unintended consequence to the Government, however. Many employees will not voluntarily separate from service when they normally would have, if they believe a VSIP is in the works. They decide to stick things out, hoping a VSIP materializes so they can cash in on the Buy Out. I’ve personally heard comments from those eligible for full retirement that they are delaying separation, with the expectation of a VSIP being offered in the not too distant future. The VSIP generally is not a great incentive for late career employees who are not yet eligible for a full retirement, but hope to finish their careers with the Government. The incentive has traditionally not been enough of a lure. We will see if the bump up in the lump sum payment is enough to convince some to separate. 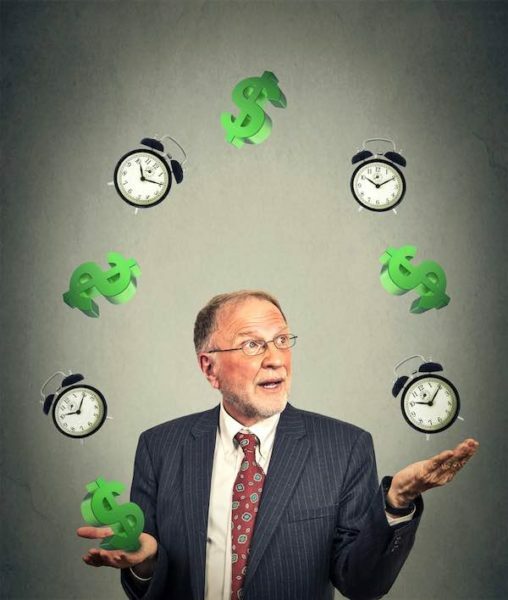 The Voluntary Early Retirement Authority, also called VERA or Early Out, is an incentive program that offers full retirement benefits for those not yet eligible for the traditional full retirement. The minimum requirements are age fifty with twenty years of service, or any age with twenty-five years of service. Because of this demographic, the VERA makes less of an impact for a reduction in the workforce than the VSIP does; there are simply less people eligible for the VERA than there are the VSIP. The VERA is utilized when an agency wishes to target a certain class of employee for a reduction in the workforce. For those covered under the Civil Service Retirement System (CSRS), there is a 2% per year penalty on their annuity for those retiring with an early out under the age of 55. Those under the Federal Employees Retirement System (FERS) have no age penalty on their annuity for retiring early. Early out retirees also have a right to continue their Federal Employee Health Benefits (FEHB) in retirement, if they have been participating in the program for the last 5 consecutive years. The Special Retirement Supplement also kicks in when early retirees reach their minimum retirement age. Who does the VERA appeal to? The VERA appeals to most to those in their mid-to-late federal careers. These are employees that are either financially ready to retire or feel they are still young enough to retire from the Government and begin a career in the private sector. The VERA is not an incentive for early career employees as many don’t have either the age nor the years of service to be eligible. Late career employees who are already eligible for full retirement, have no incentive to take the VERA. The VSIP and VERA generally target different classes of employees as described above. Mid-to-late career employees are the only ones that are eligible for both incentive programs. In this situation, the VERA pays out significantly more over the long term than the VSIP. The VSIP is a one-time payment, while the VERA pays out yearly for possibly multiple years, depending on the age of the early-retiree.